The Toro Company, a global leader in turf and landscape maintenance equipment, is launching the new ProStripe® 560 striping mower. 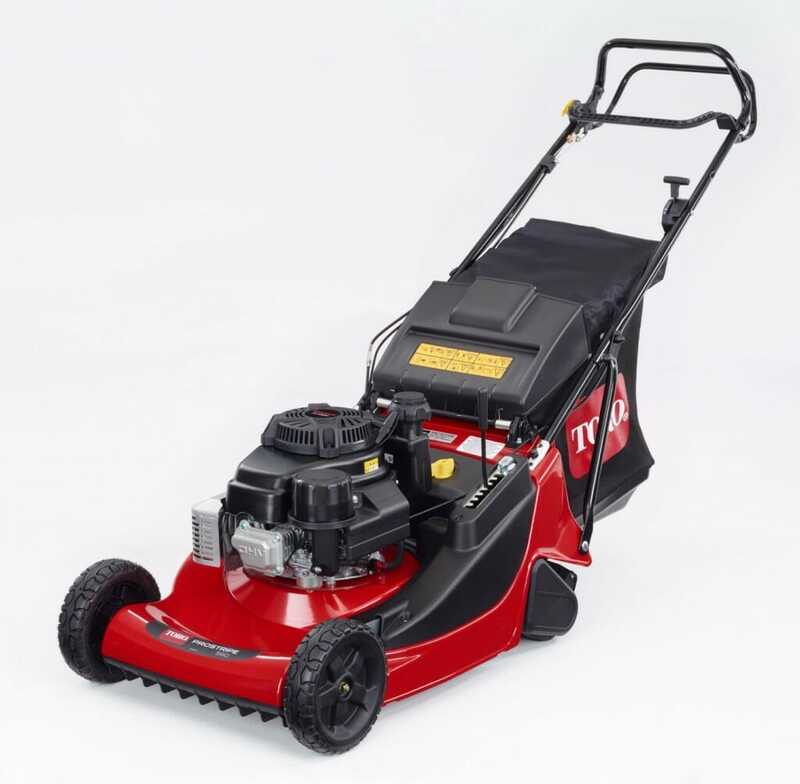 The model is designed with premier sports venues, municipalities, resorts and golf clubs in mind; combining the benefits of a precise cut and clean striped finish with the simplicity of a walk power mower. The compact lightweight design is ideal for striping smaller areas of turf, easily manoeuvring into tight areas whilst offering added precision, productivity, reliability and durability. Key features include a two-piece ribbed roller designed to create the perfect finish and crisp stripe, without marking and damaging turf. It has a 3-speed transmission system to adapt to all weather and turf conditions and users can adjust the speed from 2.9 to 5.0 km/h (1.8 to 3.1 mph). This also makes the ProStripe® the fastest mower in its class*. The ProStripe® 560 is also equipped with exclusive MatchCut™ technology, allowing you to quickly and easily fine tune the cutting height. With seven half-increment (3.7mm) settings it is the ideal tool to match cutting height to other machines or when its crucial to achieve an accurate turf height. As well as having excellent precision, the ProStripe® 560 increases productivity through its 80-litre high capacity grass bag and Blade Brake Clutch transmission system. The front fins lift the grass for a clean cut and optimised airflow ensures efficient collection of clippings while directing dust away from the operator. Other operator-friendly features include an ergonomic reinforced handlebar, as well as the Blade Brake Clutch (BBC) transmission system. When the handlebar is released, the BBC system stops the blade without stopping the engine, allowing the operator to empty the grass bag or move from site to site without shutting down the machine. Built to withstand the most demanding professional applications, the ProStripe® 560 has a heavy-duty cast aluminium deck and a commercial-grade Kawasaki® engine. It’s also backed by a Lifetime Crankshaft Warranty** offering added peace of mind. 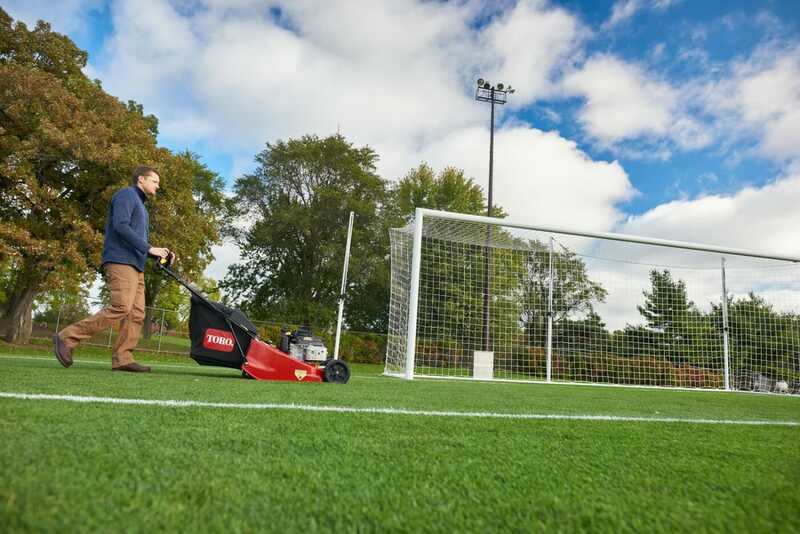 An optional groomer brush attachment to help promote a healthier turf, and a finer cut by reducing lateral blade growth and removing surface debris is also available for this model. For more information about this mower and other Toro products, please visit www.toro.com.